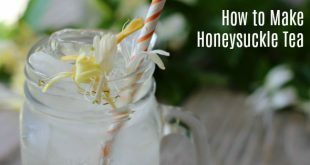 How to make Honeysuckle Tea. Learn an easy cold brew or sun tea method to make a delicious and healing tea! A natural antibiotic, liver detoxifier & more!